Don't miss Rudy Project's End of Season SALE happening until February 10, 2019. Sprint to the 2nd floor of Uptown Mall, Fort BGC and grab your gear. 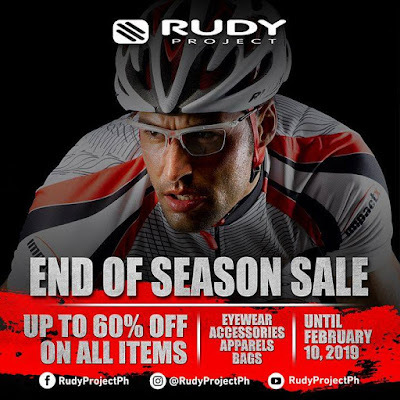 Enjoy up to 60% off on Rudy Project eyewear, accessories, apparels and bags!